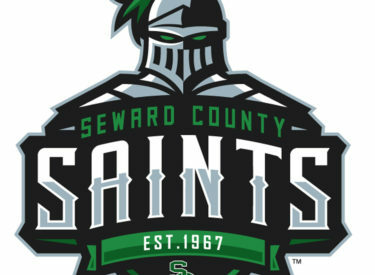 The 6th ranked Seward County Lady Saints didn’t skip a beat in their first game back since the holiday break on Wednesday afternoon in Pensacola, Florida, jumping out to a 38 point halftime lead in route to a 96-46 win over Patrick Henry to improve to 12-0 on the year. Taking the court for the first time in over two weeks with just one practice under their belt after Christmas, the Lady Saints didn’t need to knock any rust off Wednesday as they bolted out to an 11-2 lead in the first three plus minutes against Patrick Henry before finishing the first quarter with 34 points to take control early 34-12 after one. Seward continued to pour it on the Patriots, extending their lead to 46-18 midway through the second and taking a big 58-20 lead into the break at half. The Lady Saints came out firing in the second half as well, pushing their lead past 40 for the first time early in the third quarter. Seward went on to outscore Patrick Henry 23-8 in the third quarter, opening up an 81-28 lead after three quarters of action. Seward looked well on their way to hitting the century mark for the second straight game as they led 95-36 with 6:00 to go, but managed just a single point over the final six minutes of action as they mercifully dribbled the air out of the ball to win 96-46 to improve to 12-0 on the year. It was a balanced scoring attack for the Lady Saints in the win as every player that saw action in the contest scored at least five points with seven putting in eight or more and four players reaching double figures. Neidy Ocuane, Joanna Grymek, and Valerie Caro each had 14 to split the scoring lead for the Lady Saints while Mollie Mounsey added 12 in the win. Seward improves to 12-0 on the year with the win while Patrick Henry drops their fourth straight to fall to 6-4 on the year. The win sets up a showdown for the Lady Saints Thursday against #4 Shelton State who dropped their first contest of the season on Wednesday to former Seward assistant Penny Jones and the Pensacola State Pirates to fall to 13-1 on the year. The Lady Saints and the Lady Buccaneers will tip things off at 1:30 in the Florida Panhandle.